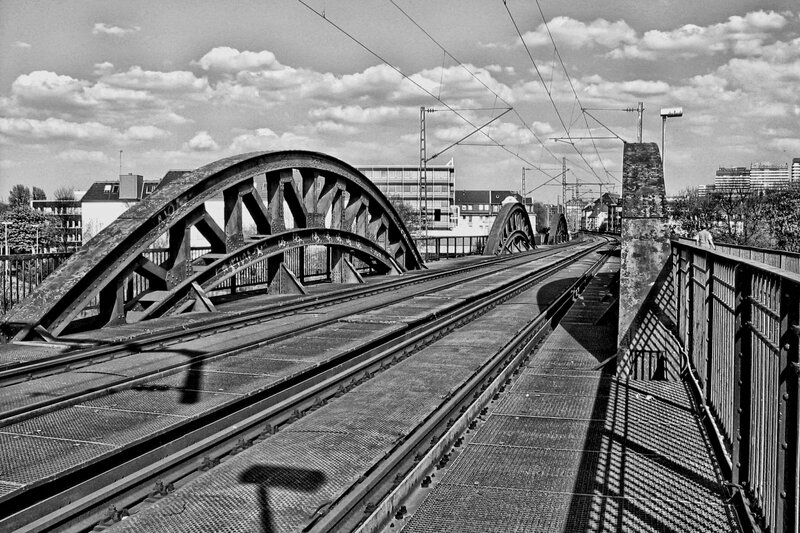 A really good view right along Mülheim’s now abandoned railway bridge in direction of the city. You can even see some of the highrises at the far right – it’s only about a 10-15 minute walk to the inner city from here. And it would be really cool if you just could hop on the bridge and go along the viaduct – going that way you would arrive at the central station and the shopping mall in only five minutes with a brisk walk.